Radio Jackie News: Police are appealing to help find a man missing from Coulsdon who has absconded from Hospital. Police are appealing to help find a man missing from Coulsdon who has absconded from Hospital. 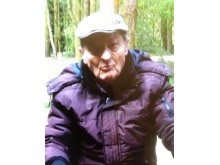 77 Year old Douglas Champion was last seen yesterday at Croydon University Hospital. He is described as a white male approximately 5ft 6in tall and bald and was wearing a grey cap, navy cardigan and trousers with black shoes. He is known to frequent Croydon and Crawley and often travels by bus. Douglas suffers from Paranoia, anxiety and high blood pressure. Anyone who has seen Douglas is asked to contact Police on 101.